It has been almost a year now since I reviewed an sunglass company called Live Eyewear. From the minute I got the glasses I was impressed. I tested out the Quattro line from Live Eyewear. I loved the style but most importantly I loved how functional they were. In my initial review I felt that these sunglasses gave me all the sun protection I needed during a round of golf in the hot Florida sun. They stayed on my face even when looking down to putt and allowed for clear vision the entire round. I have found in the past that some sunglasses will almost make you feel dizzy when playing and they distract me from the game, but I never once had the problem with the Live Eyewear glasses. Well as I mentioned it has been almost a year and I can happily say I still love these sunglasses. They have been banged around in my bag, dropped on the floor too many times to count, and I even sat on them once but they are still going strong. What’s really great about this brand are all the options. They make sunglasses that go right over prescription glasses and protective eyewear for any kind of construction job. Live Eyewear has a type of eyewear for just about everyone. The glasses Quattro’s that I have retail for as little as $49.95, and after all the wear and tear I put them through, they are worth every penny. You can read all about this great brand in my original review or check out their website. I will check back in another year with another update. Nice review GG. 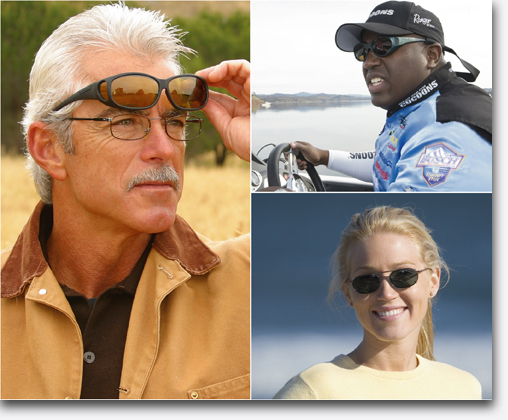 These are great glasses and fast becoming the go to product on the Bass fishing scene where polarized lenses are a must. I missed these last year but might have to consider them for next season. They don’t look bad. The Quattro style is awesome. I have used my pair for over a year now and they hold up great. Being where the price is set, they are definitely worth checking out. I’m glad you are still happy with the shades, they look great but would have a tough time replacing my Sun Dog’s. Never know though!! 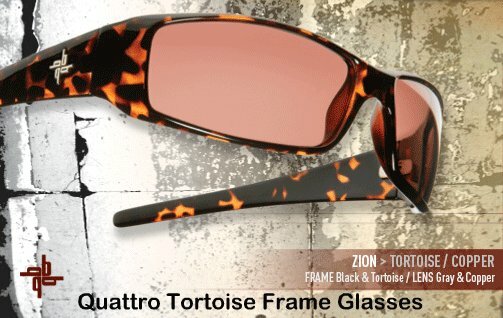 I love the tortoise shell. I don’t usually wear sunglasses when I play, but these are making me rethink that decision. Did you have a problem with them fogging up at all? I tend to sweat a little more than the average guy, especially from the head. I’ve always been an arnette guy but can’t wear them on the course for the fogging. The only time we had any fogging issue was early in the morning when it was really humid. I have a buddy of mine that is a huge fan of these. well, if these are fogging due to humidity and not sweat then they certainly deserve a look. People tend to forget how important equipment (other than clubs) can be. What lens colour did you get/which is the proper lens for golf? We were told by the company that the Quattro are the best ones for golf because they are the only glasses with UV protection. The ones we reviewed had the grey lenses. I hope that helps!! I think the online store has been updated (vs their site) .. the Quattro isn’t offered anymore. 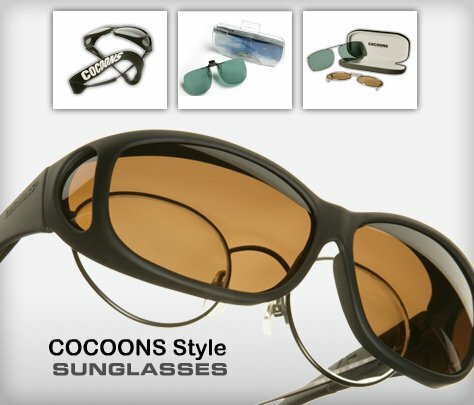 The Vistana and the Cocoons show polarized UV400 lens now. The Quattro is still offered it is just not offered through their store. The company has many authorized dealers who sell the Quattro and those dealers can be found through their website.